These two cars are very different from one another. 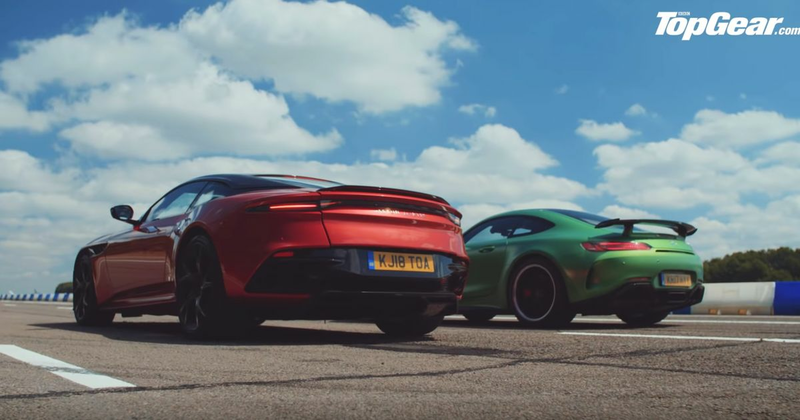 Yes, they’re both rear-wheel drive and powerful, but the Aston Martin DBS Superleggera is a super GT that wants to span continents while making furious V12 noises, while the V8-powered Mercedes-AMG GT R is at its happiest tearing around a track. That doesn’t stop us wanting to know which is quicker in a straight line, though. And looking at the figures, it looks like the Aston is the favourite here. With 710bhp to the GT R’s 577, it’s comfortably the most powerful, and its 0-62mph time of 3.4 seconds is two tenths quicker than the Merc’s. But will this drag race go the way of the British cruise missile, or could the Affalterbach’s track monster still cross the line first? Press play to find out.